King Yellowman has an incredible history in Reggae music. His upbringing at the Maxfield Home orphanage in Kingston and being albino in Jamaica were two obstacles he overcame and went on to be (at one time) the biggest reggae artist since Bob Marley. After winning a talent contest at Tastee Patties in Kingston, Yellow went on to excite reggae crowds all over Jamaica and the rest of the world with his boastful and sometimes bodacious lyrics. His ability to ride rhythm and excite a crowd made Yellow an instant hit in Jamaica. He also began to work with the Ace Sound System in St. Thomas and drew big crowds at his dancehall performances. Later in his career, Yellow began to spread out and work for a number of different producers, sometimes releasing as many as five albums per year. This led to a recording contract with CBS Records. Yellowman recorded one album with them before he was diagnosed with jaw cancer and was given six months to live. This was in 1986. 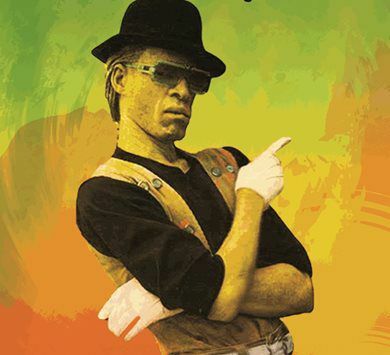 After surgery an extended leave of absence from the record industry, Yellowman began his comeback with the song "Blueberry Hill", and his career was re-launched. His first album for RAS came from producer Phillip 'Fatis' Burrell and was called "Yellow Like Cheese". Coincidentally this was the start of a long and fruitful relationship with RAS and Yellowman and also RAS and 'Fatis' and his exterminator production. Yellowman has always been very professional to work with and always a respectful and reliable human being. He has managed to outlive his predicted fate of death and his performances are incredibly lively as he seems to have an unlimited amount of stage energy. We can only hope for the best for Yellowman. He has continued his hard work and his devotion to his family is to be complimented.